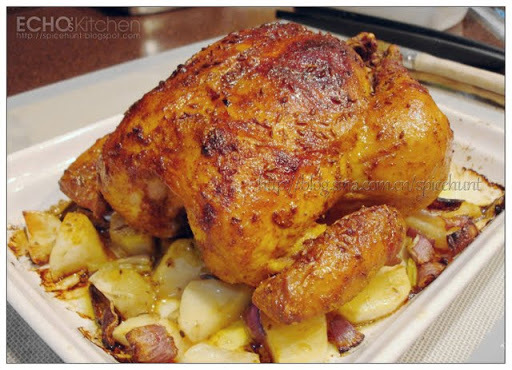 I have tried a few Roast chicken recipes, they are all good. Somehow I always felt something is missing, so I decided to come up with my own recipe. I did, and loving the result! Its spicy, its juicy!! The Thai Basil I planted this year have been flowering non-stop, so I have no choice but to keep cutting the tip to keep it growing. That also means to keep using thai basil in my cooking! This time I use my favourite cooking ingredient -- tofu! 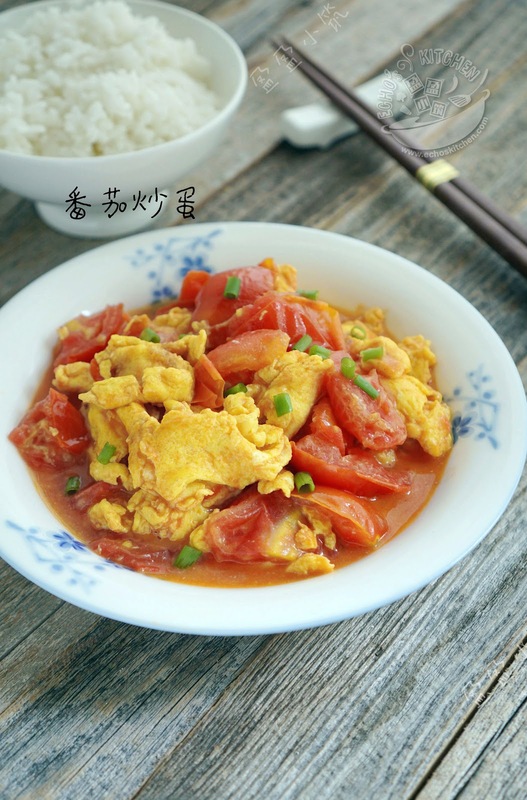 The tofu I choose for this recipe is the smoked hard tofu, the texture is chewy and somewhat meat-liked, good substitute for meat indeed. Okra/Bhindi is a very healthy vegetable, it has plenty of valuable nutrients, good source of vitamin C, good for brain and is beneficial to diabetes. Summer is the harvest season for okra, I just bought some from the shop and made this super yummy crispy Okra fry, it is a good side dish, and a good snack too! We make this dish whenever we cook porridge/congee, the crunchiness of fried anchovies compliment spiciness and softness of roasted chilli so well, its the best possible dish for congee! I Made this with hot banana chilli harvest from my garden, how was it if you asked. The answer is : First class! Japanese tofu or egg tofu was my favorite food while visiting a restaurant back in Malaysia. 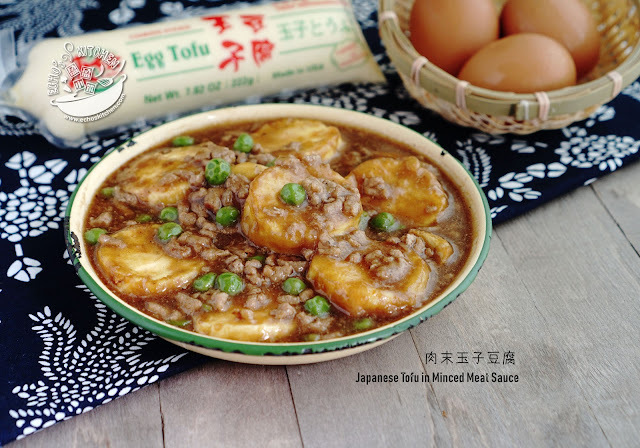 I liked it with minced meat sauce, sizzling or clay pot type, they are all yummy, and go well with steam rice! This oatmeal bread was truly a challenge, I had to modify a few times before I finalized the recipe. 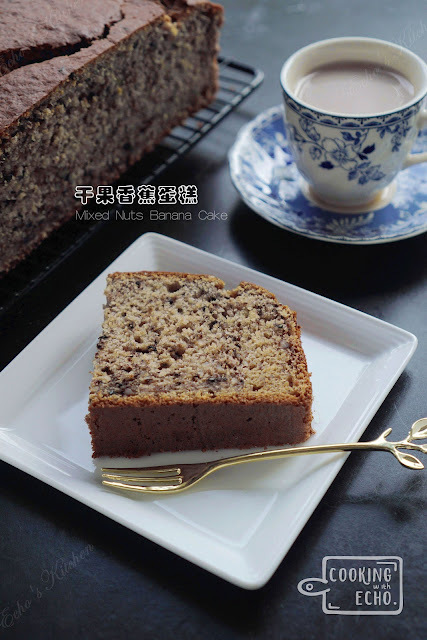 I love the idea that it is made from oatmeal, and it is fully Vegetarian ! The banana I bought during sales in Walmart are getting too ripe, and I got tired of making milkshake out of it, so I came up with the idea to bake a banana cake. I have chosen this recipe for it call for lesser butter, thus lesser calories, and yet equally tasty! 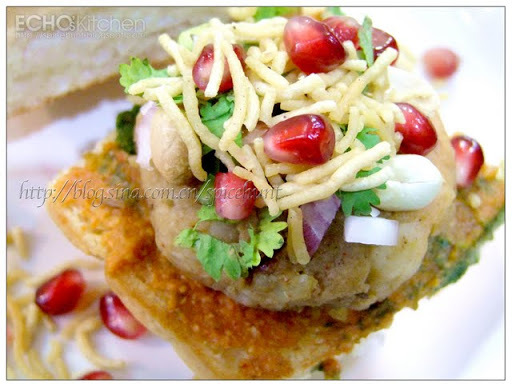 Dabeli is a type of vegetarian Burger originally from the state of Gujarat in India, and later became famous snacks in Mumbai, the state of Maharashtra, India. It is rich in taste, and also rich in texture, it is also nice to look at, with pomegranate work like jewel on top, its simply colourful and inviting!. This dish though a very common Chinese dish, is not something I grow up eating. In fact I never heard of it until my time in England. It is summer now in Jersey, which means it is harvest time! We have tomatoes galore this year with my tiny little edible garden. I had made a couple of bottles of homemade pasta sauce and still have many left in the fridge. So I made this dish for dinner and served it with my Assam Pedas Ikan Kembong. I finally got to harvest my Aubergine/Eggplant today, together with tomato and chili harvested yesterday. it will be a pity if I do not make this delicious mashed eggplant dish! Vindaloo is the Indian curry dish from the state of Goa, the smallest state in India. 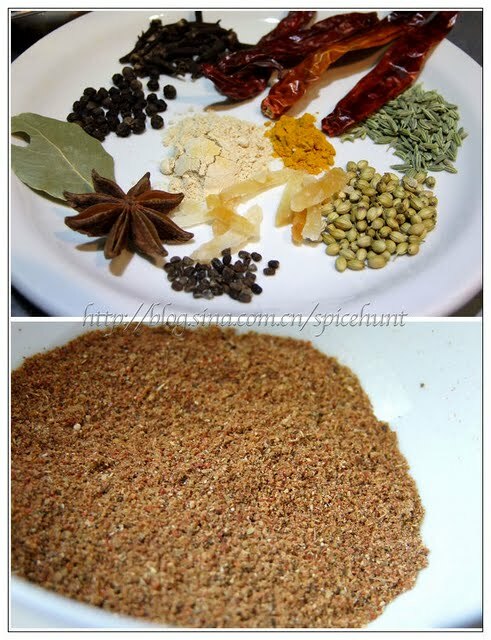 It is relatively milder in taste compared to other Indian dishes. Vindaloo derive from Portuguese word Carne De Vinda D'alhos, a kind of dish with meat cooked in wine. 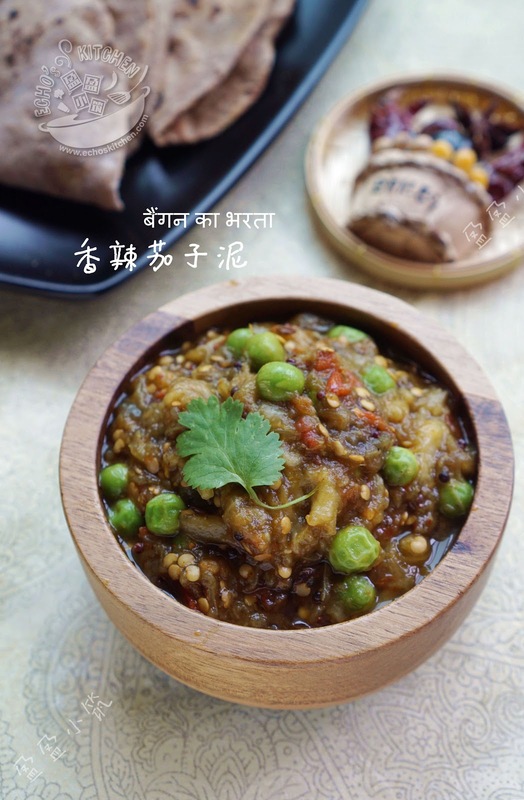 The Indian swapped wine with vinegar and added spices to the dish, it not only localised the dish, also create a whole new way to prepare Indian food. This is a simple dish that could be prepared by microwave, its a good dish to make during hot summer without having to sweat in front ot hot stove! It was pumpkin season and plenty of pumpkin available in the market, I made this simple pumpkin dish just to enjoy the very sweetness of pumpkin! 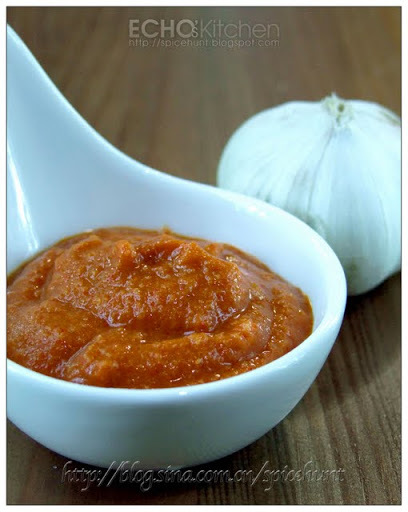 This fresh garlic chutney is an essential ingredient for many Indian snacks and Chaat, its pungent and outstanding smell and taste makes those already delicious snacks simply unforgettable!! Legume is the main source of protein for vegetarian, as I eat more of vegetarian food, I use a lot of it in my cooking. 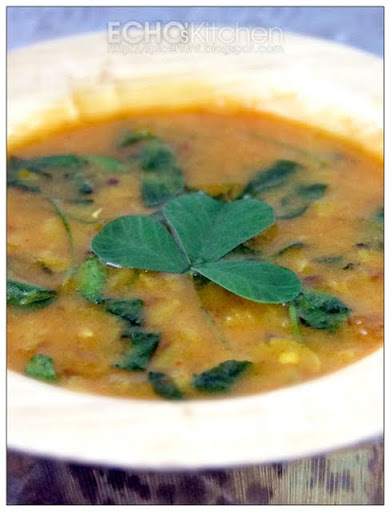 I like it in Dal with some fresh vegetables, since I have some fenugreek planted in the garden this year, I made this Methi Dal (Fenugreek Leaves in lentil soup) with the fresh harvest this afternoon!